Once upon a time, a great disaster struck the spiritual realms, reaching into the realm of the living. This disaster came in the form of what can only be described as Hellish abominations. These fiends sought to do one thing, and that was to bring all under their rule. Anyone whom dared to stand against them perished, like a paper being set on fire and consequent turning to ash. The realms would have welcomed fire and brimstone falling from the Heavens. Everyone would have preferred if Hell actually opened up and swallowed everything. No such mercy was granted to those who suffered at the hands of this calamity. The realms were quickly thrown into disarray, and sensing the weakness of their enemies. Hollows, Shinigami, Quincy, Spiritually Aware Humans and even the stupendous Bounto did battle against each other. Each and every race saw all this as an opportunity to eliminate the men and women who stood in their way. But as all of this happened, the ones whom set the realms upon this path sat back and watch. Their powers so great, that even the Royal Guard contemplated standing against them. Who, what, where, why and when were the questions raised. Just who were these abominations of the realms? These men and women were once without a voice. They had no place in the world, thought to be discarded by their respective race. However, they all came together and forged a bond, becoming a brotherhood, filled with brethren who believed in the same ideals. These men and women came to be known as the 'Dark Ones'. The source of their power came from the detestable inventions that they created. These wicked devices gave them enough power to match the power of a true Captain Commander or respective race leader and surpass it. Upon witnessing their powers, each and every race thought of different means in which to gain a vast amount of powers. Quincy, used their vile inventions to steal the powers of others. The Bounto went on a wild rampage and begun consuming as many power souls possible. The Hollows or enigmatic Arrancar tried something similar. Meanwhile, the Shinigami threw away their ideals. They too indulged in the dark arts, creating Vizards that were far more stable. The Gotei 13, became the Gotei of old, ready to do whatever it took to eradicate all those who dared stand in their way. The wars of these beings spilled over in all the realms concerned, bringing about tragedy and disaster. The different races soon saw sense in an alliance, and so against their better judgment. And even with the hatred that they held for each other, they allied themselves. And through sheer determination, power and will, they defeated the dark ones. And so they returned to the abyss that they came from. The aftermath was less than favorable for anyone concerned. As such, an uneasy truce was agreed on, or to be specific, there were no verbal agreement. The only thing that stopped them from fighting against each other was the thought of complete annihilation. They all went their separate ways, returning to their respective realms to rebuild. They all knew that war was on the horizon, but none yet knows the time or place. A generation of warriors died, with each race being in a state of chaos. The self righteous Shinigami soon eliminated the Vizards that helped with conquering the enemy. And as such, many Vizards either fled the Soul Society or simply perished. Their stories never once graced the history books. Their records vanished into the secret archives, concealing the shame of the Gotei. That was the end of one chapter, and so another chapter begins. The hatred of the past still lingered among everyone. There was bad blood, and with every waking moment that passes by. One can't help but wonder when someone will fulfill their duty and bring the world to the brink of destruction once more. For now, everything was as still as the waters, while the lambs ready to be slaughtered assembled in the green pastures. Bleach: Excursion, is an Alternative Universe role-playing site based on the world of the famous Manga Bleach created by Tite Kubo. Bleach Excursion is an alternative take on the world of Bleach. Some things are different, and no characters from the canon of the Manga exist in this world. While the world is otherwise very much the same, all the characters will be original. Bleach Excursion is a literate role-playing site, though we do not consider ourselves to be too advanced. 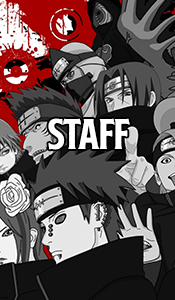 The staff has experience with role-playing and supports its members to improve themselves while having fun with interacting the other members and characters of the site. What is different about Bleach Excursion? The site also has tried and working mission and invention systems created by the Administrators the site. This ensures that creative minds can fulfill themselves by creating useful inventions for their races, while everyone can attain more of the points of the site to improve their characters. The staff on the other hand will make sure that the missions are kept up to date, so that everyone willing can participate in them. Some missions can also be created by the leaders of the races. Easy to jump in. So long as you have nothing against the main Administrators of the site, the staff can prove interesting and helpful. Our desire is to help even newer role-players to get into the world of role-play and have a pleasant experience. Though we admit that everyone can't get along perfectly, which is why we won't make any claims on the quality of the staff. Use Experience points to improve your character and buy new equipment. Create your own ideal character through hard work and a hopefully unforgettable experience. While activity in role-play is a given, the site has a whole lot more to offer. Many fun times can be had in the chatbox and the 'Talk Show' are can be used to discuss anything, even things entirely unrelated to the site or role-play. Users can publish their own works and gain feedback from the other users.